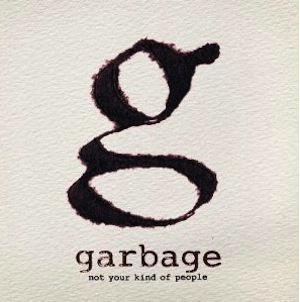 From the first song on Not Your Kind of People, Garbage is in immediate control, and the message is clear – we may have been gone seven years, but we’re back and better than ever! “Automatic Systematic Habit” launches the album with the alpha female Shirley Manson vocals and lyrics we’ve come to know and love, plus the excellent energetic backing of Butch Vig, Duke Erikson, and Steve Marker. The first single off the album, “Blood for Poppies,” is an interesting insight into the mind of a soldier in the middle of a war. This seems to be something of a theme as another song, “Battle In Me,” again looks at fighting, though at a more personal level here. Your Kind of People” are the excellent slower stuff with knife-to-heart lyrics that we adore. Ending on the song “Beloved Freak” is an excellent choice as the band invites everyone to be a part of their culture, repeating that we’re “not alone.” And now that Garbage is back, we certainly aren’t.